want to perform quick file sync? Learn to sync only changed files with freeware in Windows 10/8/7 step by step. When do you need to sync only changed files? When you want to keep two folders in exactly sync, the common way is to copy all files from one folder to another every time when changes were made. You can also use file sync software to sync those two folders in a regular schedule or set up real time file sync. 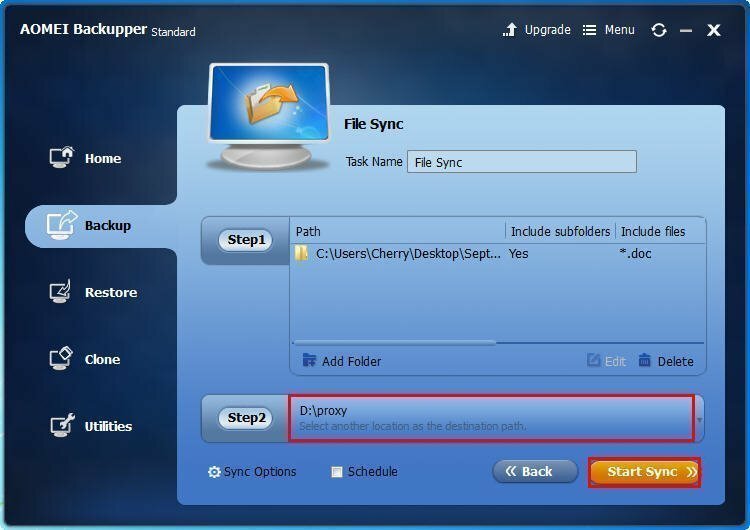 However, if the source folder is extremely large, to sync or copy the entire folder will take a lot of time and take up your computer memory when the sync is in process. In this case, you can sync only changed files to dramatically reduce the duration time of file sync. There are many freeware out there that can only sync modified files since the previous sync. If you are looking for one that is easy to understand for Windows 10/8/7, AOMEI Backupper Standard may be the one. It is available with intuitive interface, so you can do all the operations involved in file sync with only a few clicks. It supports many kinds of storage devices as the target sync location and you can sync files to NAS, external hard drive or other locations. 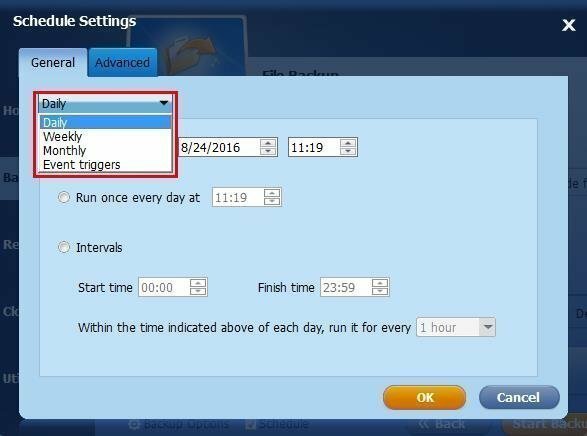 Besides regular scheduled file sync task, AOMEI Backupper also allows you to set automatic sync at system shutdown or startup, user log-in or log-off. What’s more, you can have a file filer to exclude the certain kinds of files in the sync folder that do not need synchronizing. Step1. Download and run this free file sync software. 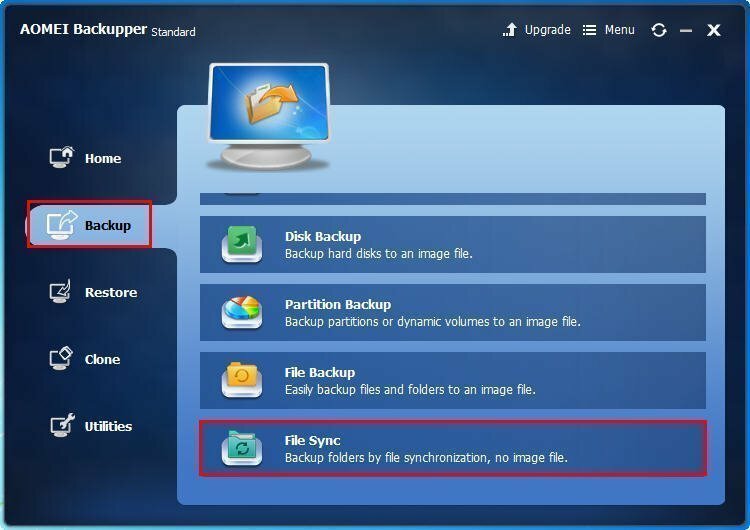 Under the “Backup” tab, select “File Sync” at the buttom. Step2. Click “Add Folder” to specify the source folder that needs to be synchronized. Step3. Select the destination location by clicking “Step2”. Step4. Click the “Schedule” option down the butom, and in a pop out windows, specify when you want the folder to be synchronized. Step5. If you want to email notification after a sync, click “Sync Options” to configure. After that, click “Start Sync”. Starting with the second file sync, the program will sync only changed files. As you can see, AOMEI Backupper has many other features besides file sync. You can use it to create system image backup, file backup, or hard disk clone.